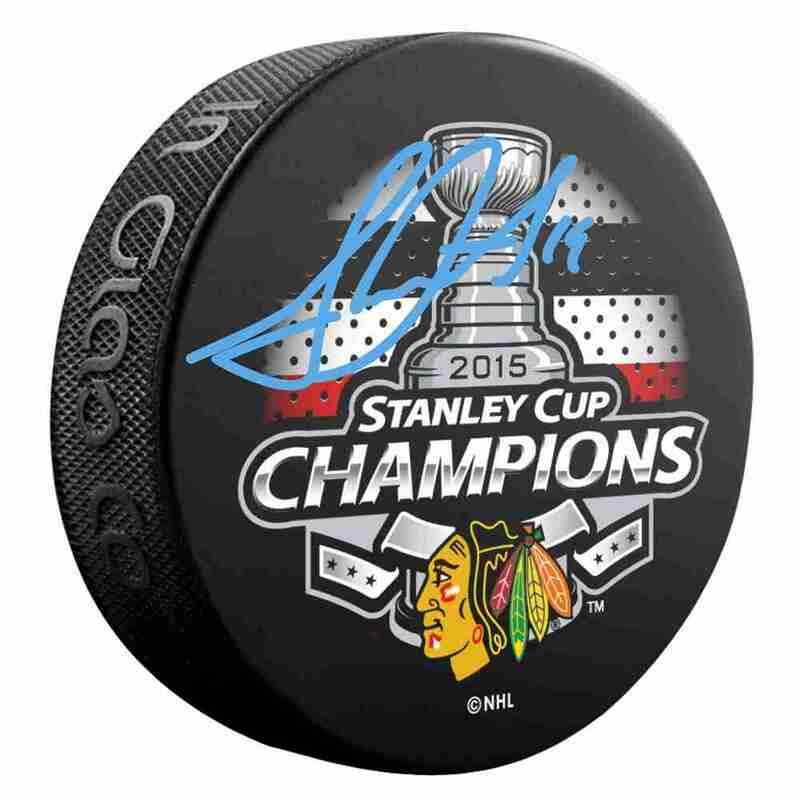 This official 2015 Stanley Cup logo puck comes hand-signed by Jonathan Toews himself. The Chicago Blackhawks have won 3 Stanley Cups in the last 6 NHL seasons and have cemented themselves as a modern era dynasty. A great collectible that will become a long lasting memory for any fan of the Chicago Blackhawks. A Frameworth hologram and certificate of authenticity are included with purchase to ensure the legitimacy of the autograph.